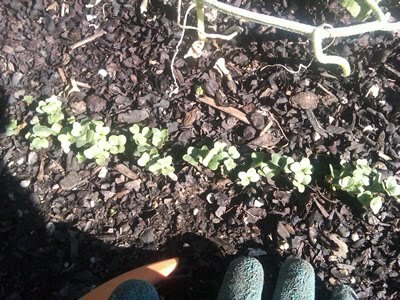 In mid-August I tried planting some seeds (beets, radishes and lettuce), and only 2-3 radishes appeared. Last Monday (September 13) I decided to try again with radishes, beets and spinach. It looks like the radishes have appeared in less than a week! Wonder about the spinach and beets......it's been HOT!